Dr. Rosof is CEO of Quality in HealthCare Advis ory Group, LLC, (QHC). Dr Rosof is at the forefront of national initiatives in the areas of quality and performance improvement. Following completion of a fellowship in gastroenterology at Yale University School of Medicine, Dr. Rosof practiced Internal Medicine and Gastroenterology for 29 years. He is the immediate past Chair of the Board of Directors of Huntington Hospital (Northwell Health) and a current member of the Board of Trustees of the Health System. He is a past member of the Board of Directors of the National Quality Forum, and served as Co-Chair of the National Priorities Partnership convened by the NQF to set national priorities and goals to transform America’s healthcare. The NPP was advisory to Secretary Sebelius in the development of the National Quality Strategy. Dr. Rosof is the immediate past Chair of the Physician Consortium for Performance Improvement convened by the AMA to lead efforts in developing, testing and implementing evidence-based performance measures for use at the point of care. He was a member of the Clinical Performance Measurement Committee of the NCQA, and the Chair of the Physician Advisory Committee for UnitedHealth Group. 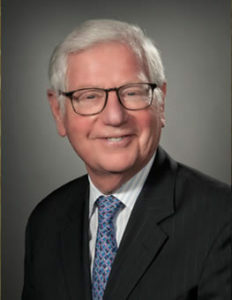 He has chaired committees for the New York State Department of Health and the Institute of Medicine (IOM), and is currently serving as Chair of the National Academies of Sciences, Engineering and Medicine's Roundtable on Health Literacy and as Chair of the NYS Department of Health Committee on Quality in Office-Based Surgery. Dr. Rosof is on the editorial board of the “American Journal of Medical Quality” and “The Journal of Delivery Science and Innovation.” In addition, he has authored many articles which have been published in the peer reviewed literature. Dr. Rosof was a co-founder of the Fay J. Lindner Center for Autism and Related Developmental Disorders and continues to serve on the board of several philanthropic organizations, including Project Sunshine and Partners Health Plan. Dr. Rosof is Professor in the Department of Medicine at the Hofstra Northwell School of Medicine. He is a Master of the American College of Physicians and Chair Emeritus of the Board of Regents of the American College of Physicians. Dr. Rosof is the recipient of the Laureate Award from the American College of Physicians and the Theodore Roosevelt Award for Distinguished Community Service. He has also received the 2011 Founders Award presented by the American College of Medical Quality in recognition of his long-standing national leadership and exceptional ability to foster and support healthcare quality improvement. Dr. Rosof is also the recipient of the 2012 Stengel Award from the American College of Physicians for outstanding service to the ACP and for his influence in maintaining and advancing the best standards of medical education, medical practice and clinical research. Dr. Rosof also received the New York University School of Medicine Alumni Leadership Award in February 2016.